Added on August 23, 2013 by Avi Amon. August 25th and 30th! More info on my calendar page. Here is the posting on the Montreal World Film Festival website that will have the information as well. It's being billed under the Focus On World Cinema Short Film Series. Roadtrip? Anyone? I had the distinct pleasure of scoring this film last year. John Paul Su is an extremely talented, up-and-coming writer/director who I met through a mutual friend at NYU. PAGPAG has already won a number of awards, most recently, the Directors' Guild of America Student Film Award. 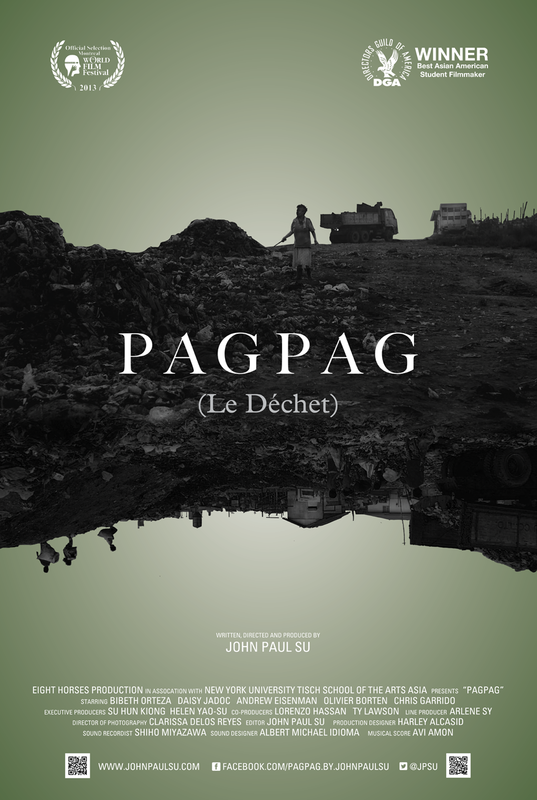 PAGPAG tells the story of a young girl's hopes for adoption while living in the landfill-slums outside of Manila. The score is influenced by traditional Filipino rhythms and pop music from the region. Several of the instruments are actually played through pieces of garbage to highlight the characters' plight as well as their strength through adversity. Please visit my film music page for more info.